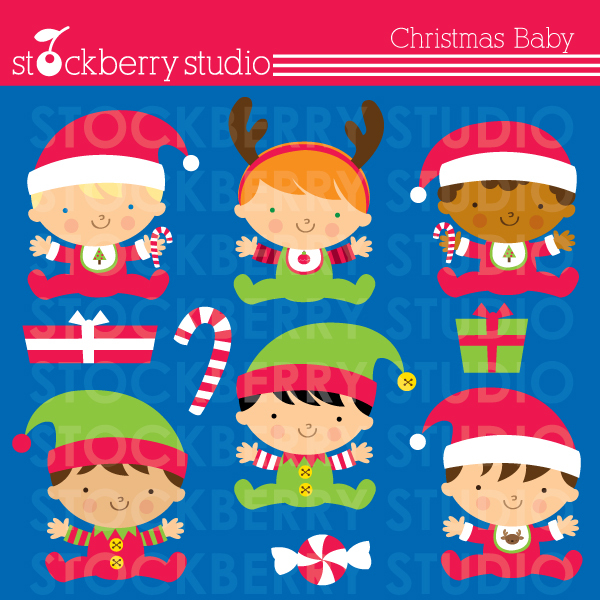 Baby 1st Christmas Clipart now available in my Etsy shop found HERE. All clipart, paper packages, digital stamps and non personalized party printables files are now instant downloads! 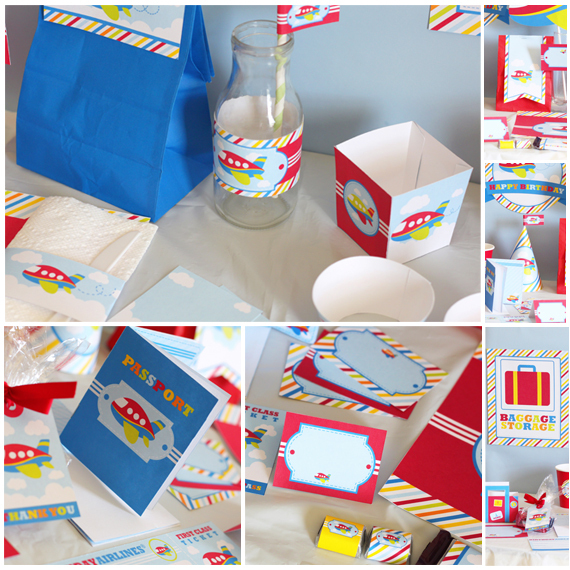 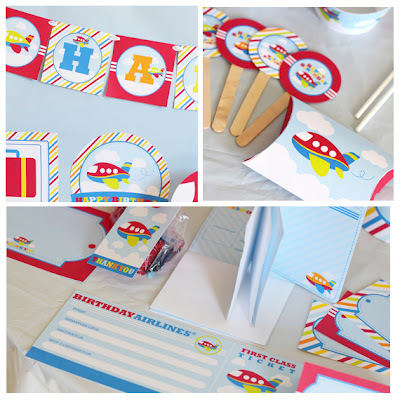 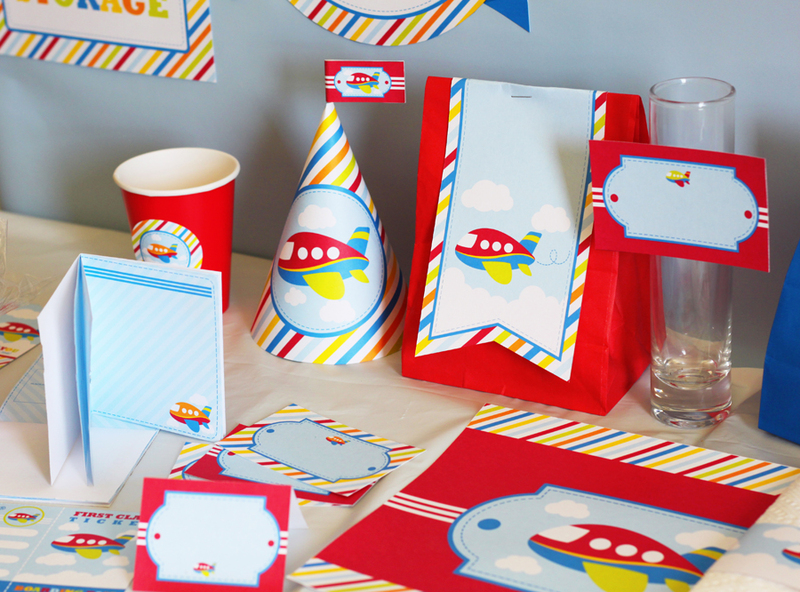 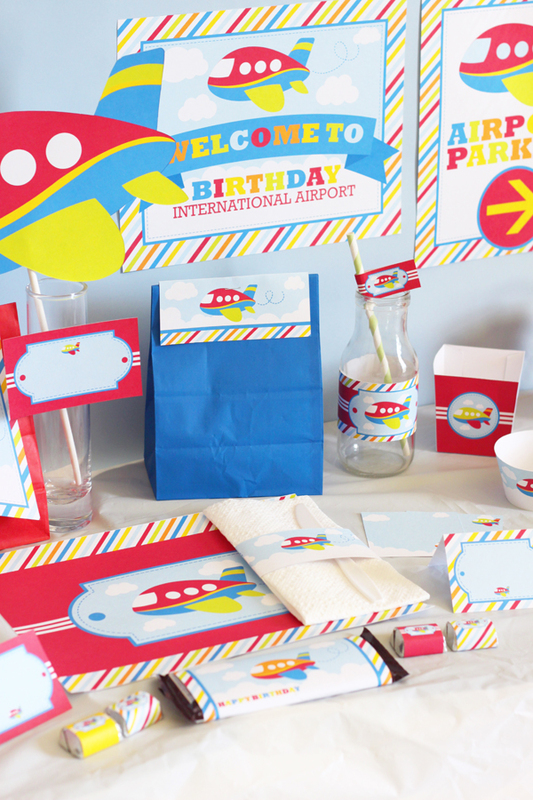 New red, blue, yellow, green and orange striped Airplane printable party kit recently added to the shop found HERE. 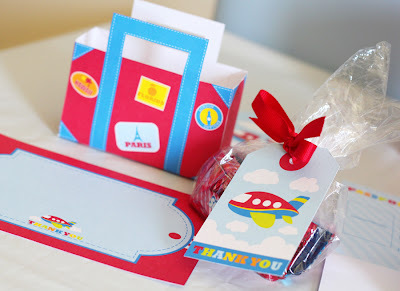 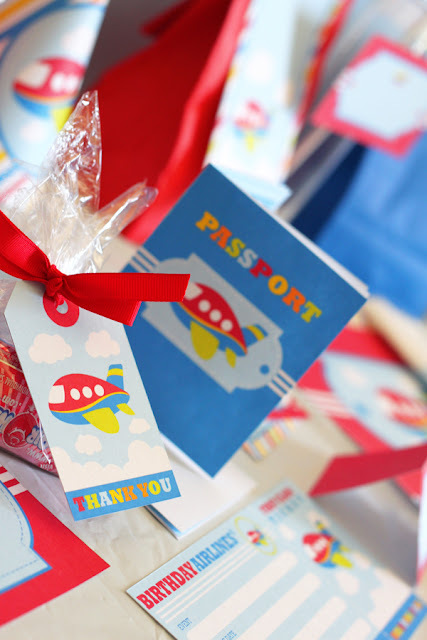 The kit includes labels, passport, airplane tickets, signs, treat boxes and more.